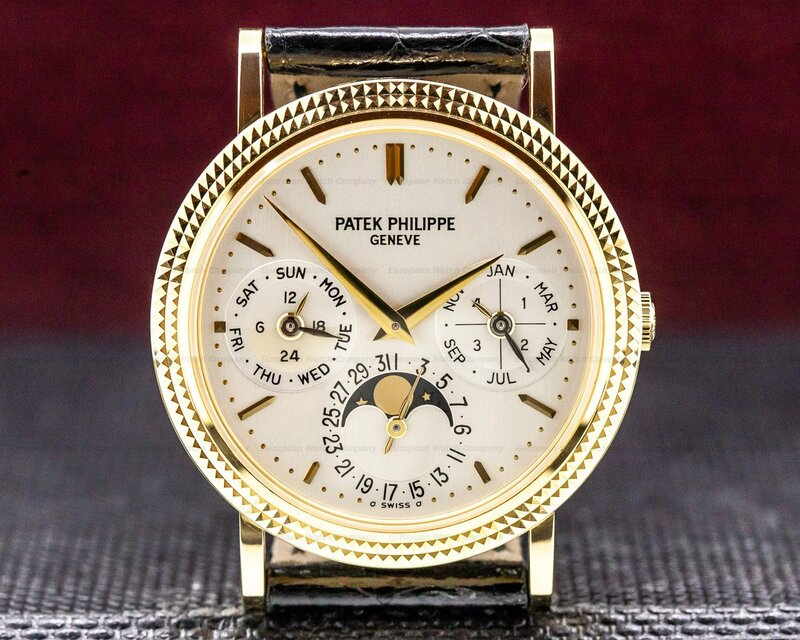 30643 Patek Philippe 5053 J Calatrava 5053J 001, 18k yellow gold officers case on a strap with an 18k yellow gold matching tang buckle, automatic Patek Philippe caliber 315 SC movement, cream colored dial with black Breguet numeral hour markers, black Breguet-style hands, date at 6 o'clock, centered sweep second hand, half hunter caseback with display back, sapphire crystal, water resistant, diameter: 35mm, thickness: 8mm, Like New with Original Box and Papers; dated 6/2004. This watch was just completely serviced. 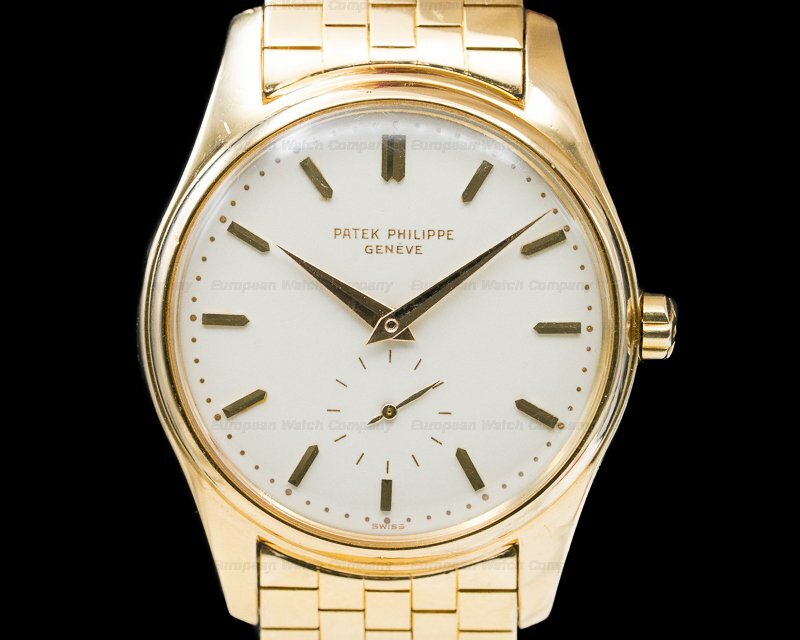 This is an 18K yellow gold Patek Philippe Calatrava 5053J. 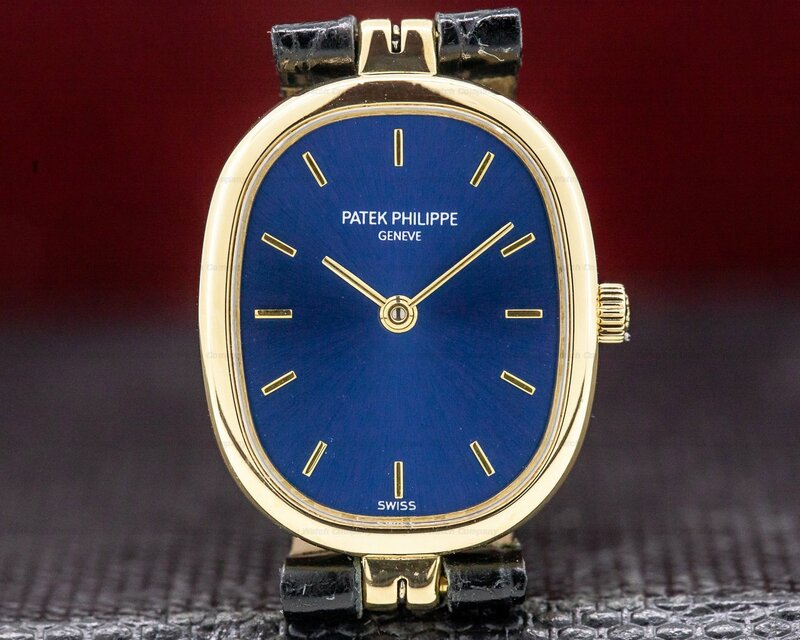 It has a leather strap with a matching 18K yellow gold Officer's tang buckle, and a scratch resistant sapphire crystal. 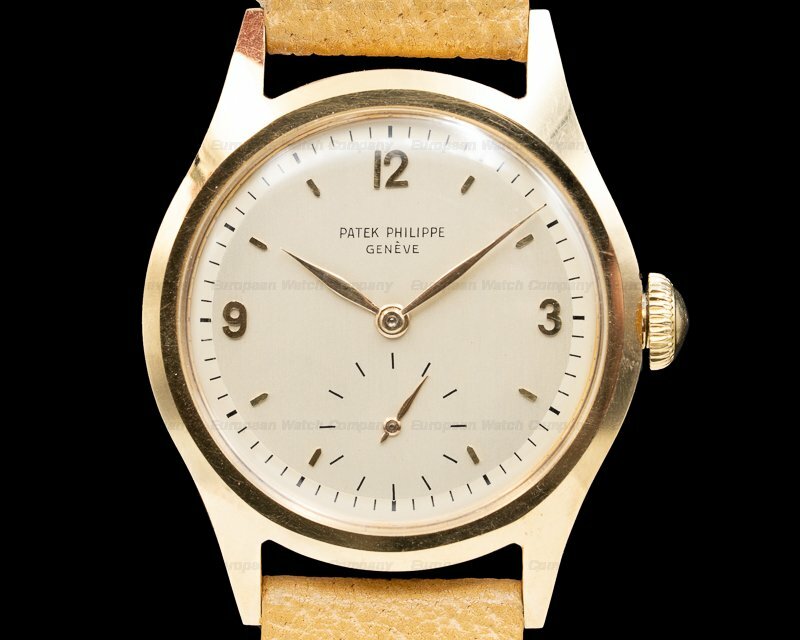 The 35mm diameter solid four-body half-hunter case, hinged case back, slightly downturned lugs, gold screwed bars, and curved bezel are polished. 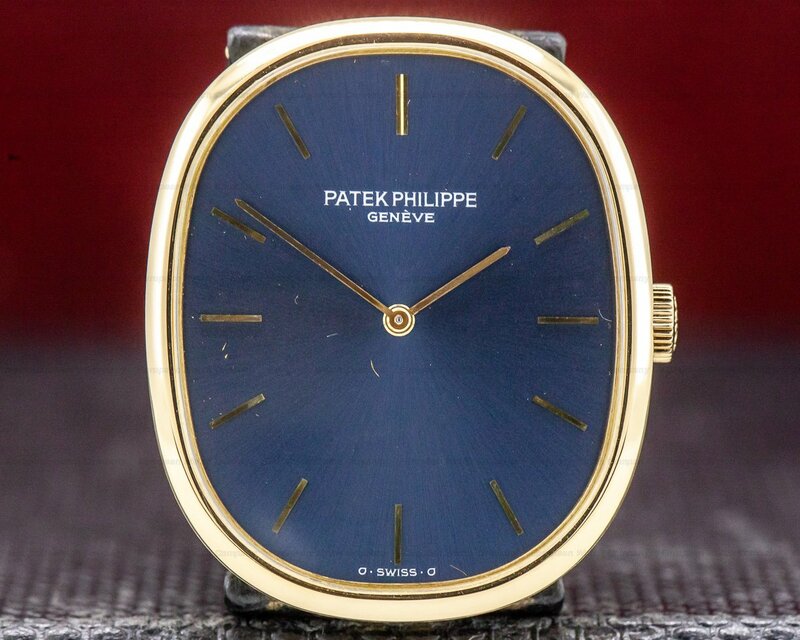 The transparent display case back is also sapphire. 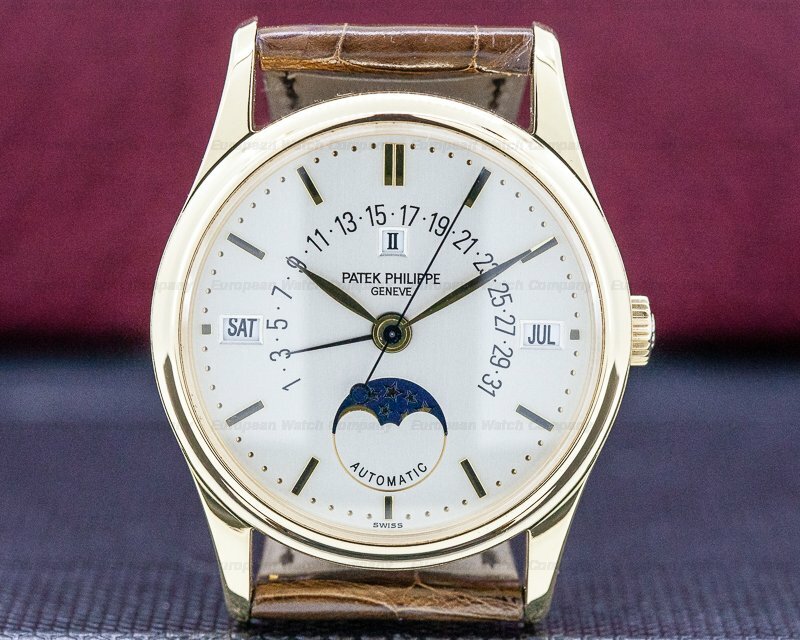 The dial is matte silver with black, painted Breguet numerals and blued gold Breguet hands, including a centered sweep second hand. 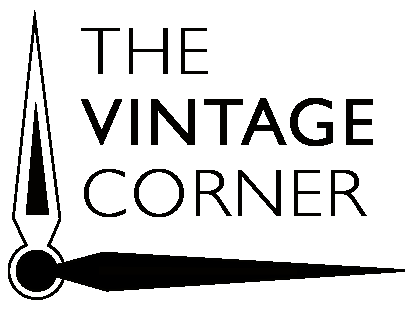 The date aperture window is at 6 o'clock and there is an outer seconds/minutes track. There is a date aperture at the 6 o'clock position, it's water resistant to 25 meters/90 feet, with a 10-day power reserve at full wind, and the 9mm thick case, dial, and movement are all signed. 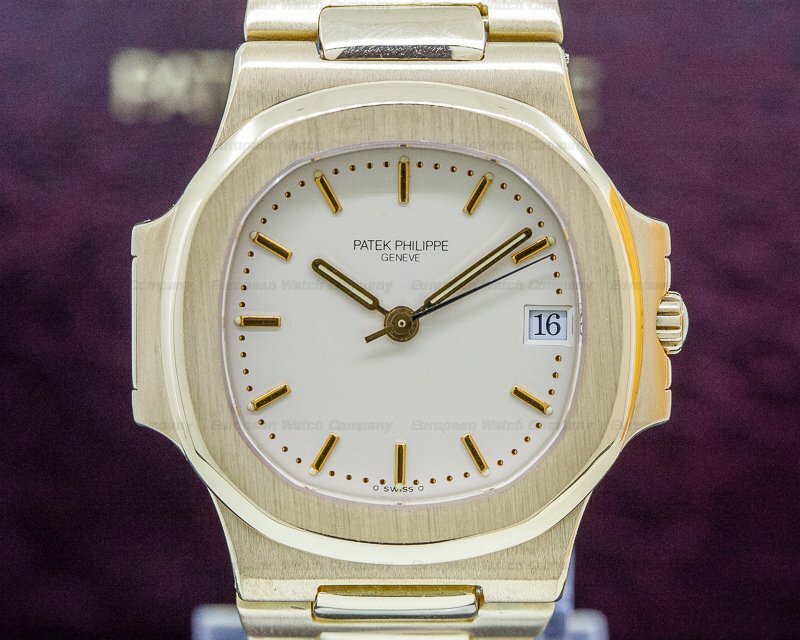 The automatic winding, Patek calibre 315 SC movement is rhodium-plated with fausses cotes decoration and stamped with the quality mark of the Seal of Geneva. It has unid-directional winding, and It's made with 29 jewels, a straight-line lever escapement, a shock absorber, and an 18K gold rotor. 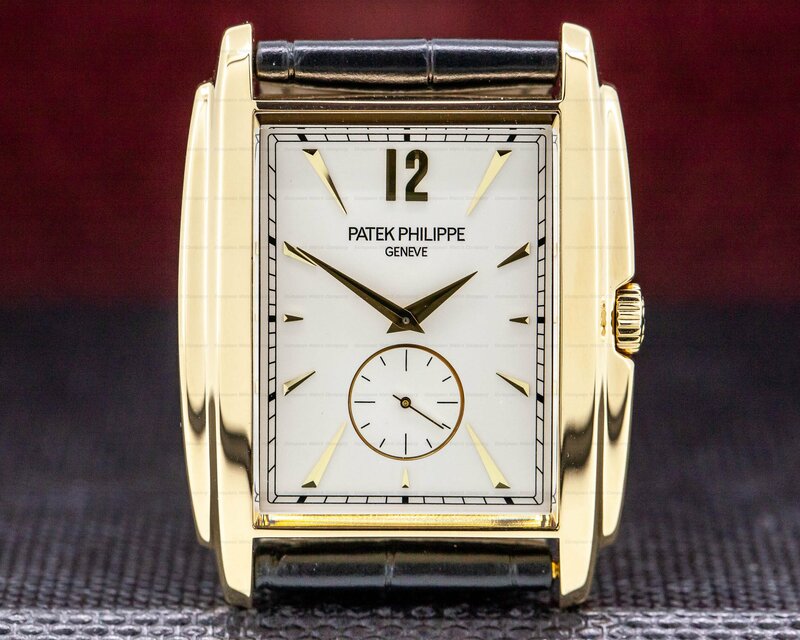 It has the patented Patek Gyromax balance that adjusts for cold, heat, isochronism, and five positions, an overcoil spring, and a self-compensating free-sprung flat balance spring. The mechanism runs at a frequency of 21,600 vph (3 Hz). 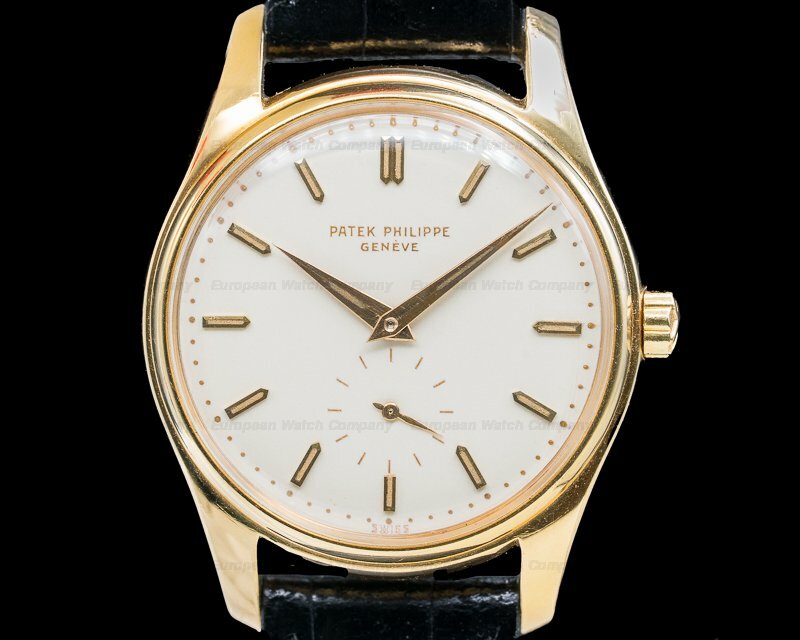 This is an elegantly simple Calatrava, very much like the first Calatrava watches introduced in 1932, with just time and date. 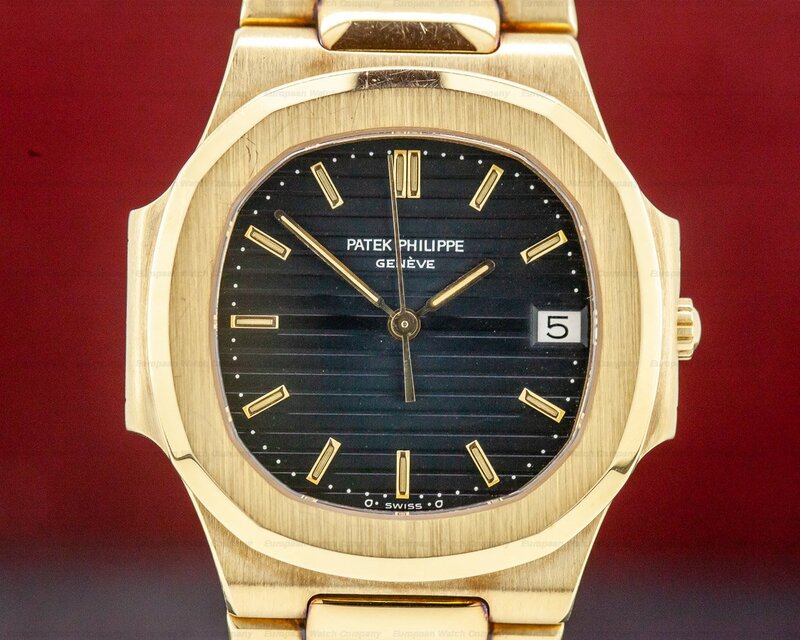 The distinctive, round Calatrava shape remains timeless and the flagship of the Patek collections.